up the hill until it flattens out. Park by the side of the road. By the side of the road, out of the way. 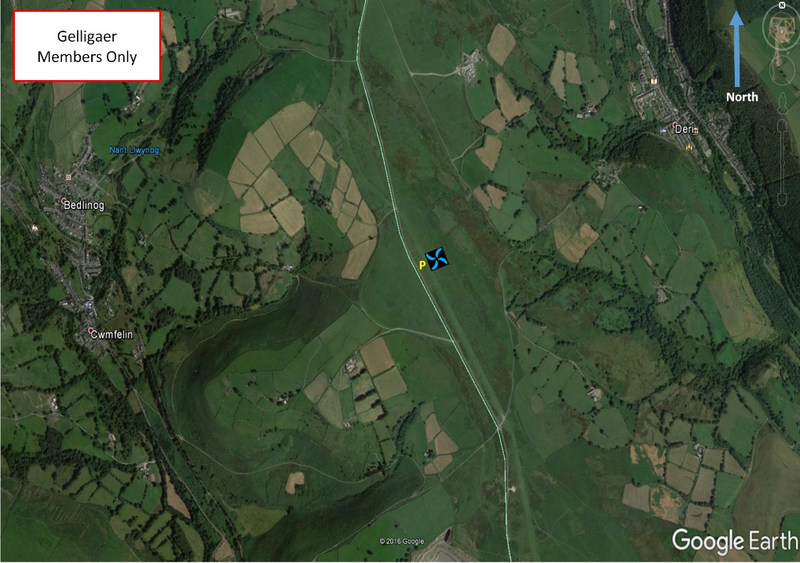 Observe the airspace rules as for Bedlinog (please familiarise yourself with this site guide too).